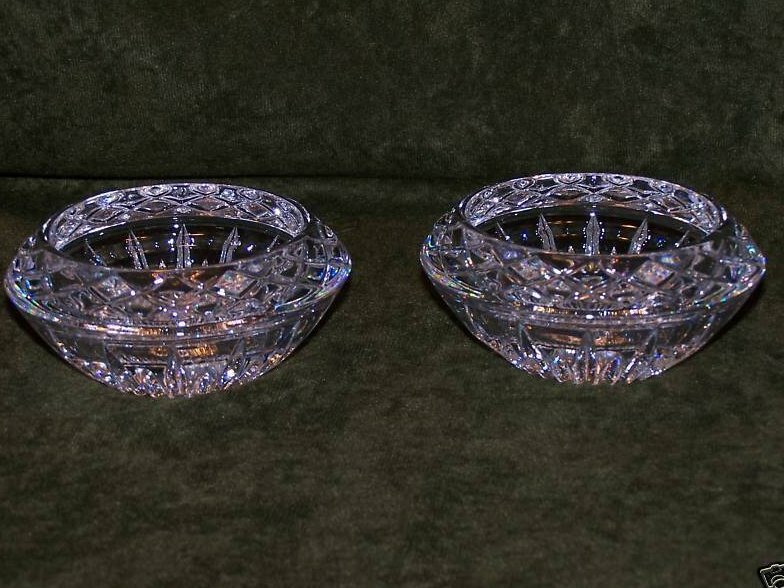 Two stunning, crystal clear lead crystal candle holders. The box has a lot of wear, which makes what is inside even more startling. 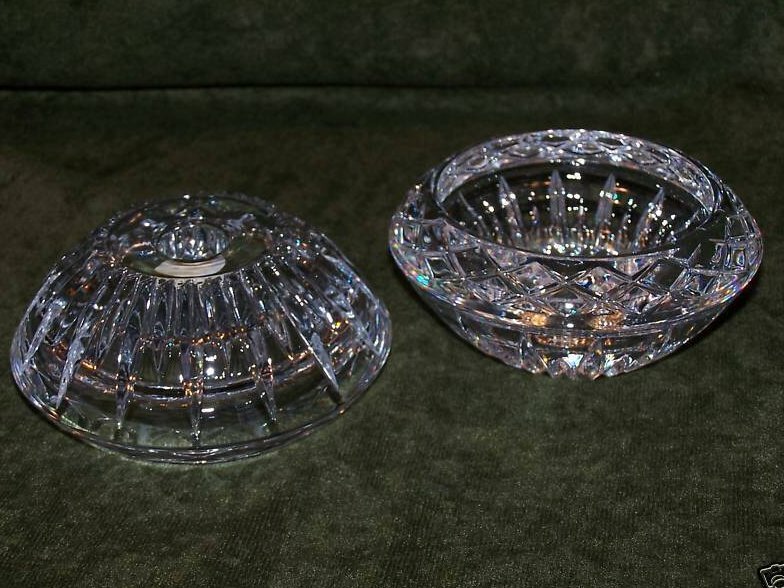 Fold back the worn, stained lid and find two stunning, crystal-clear lead crystal candleholders. 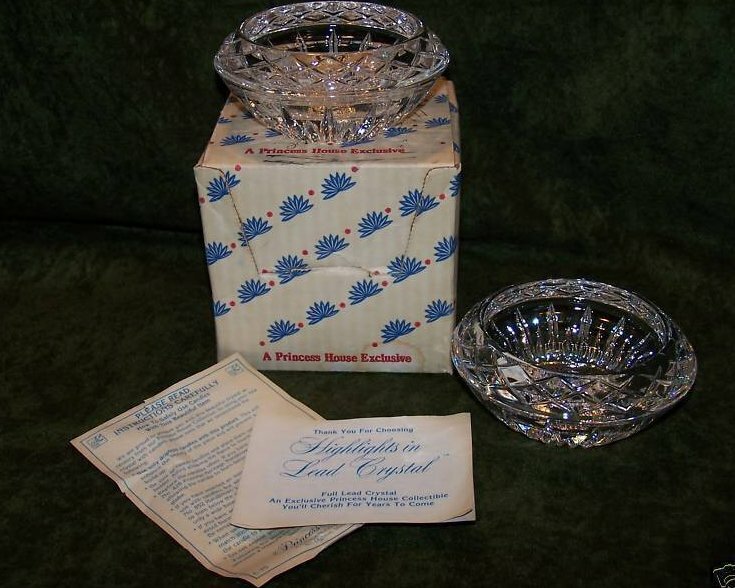 With each candleholder weighing well over a pound, you know these are fine quality crystal candleholders that will be handed down for generations! Any yellow in the photos is a reflection from the flash. 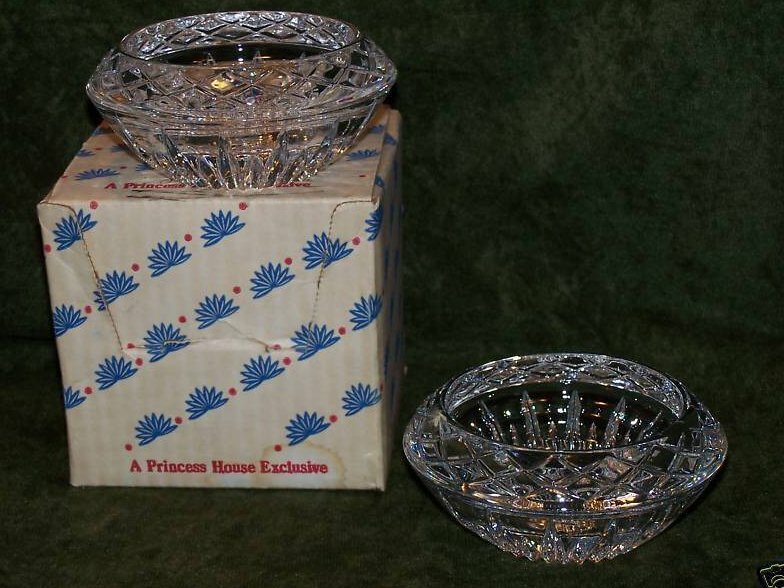 Note: We do not recommend allowing candles to burn below the rim of the holder or the use of tea lights with this product. 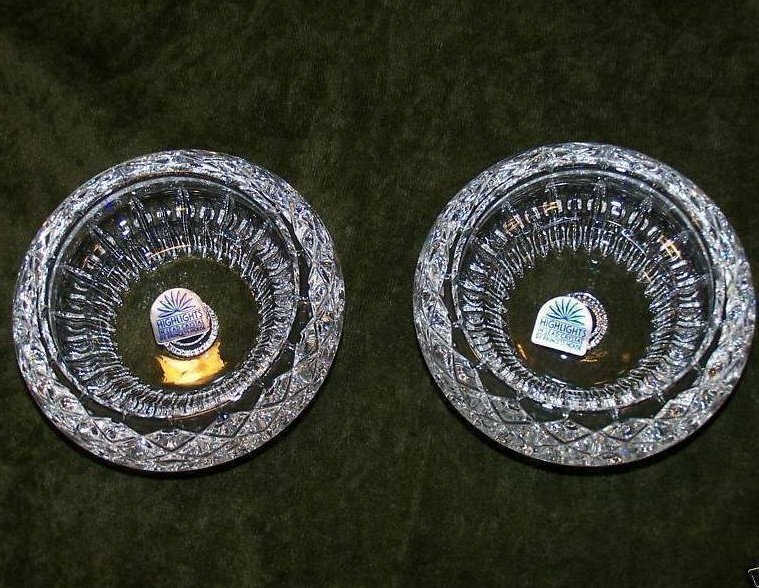 The use of dripless candles ONLY is recommended by the manufacturer.